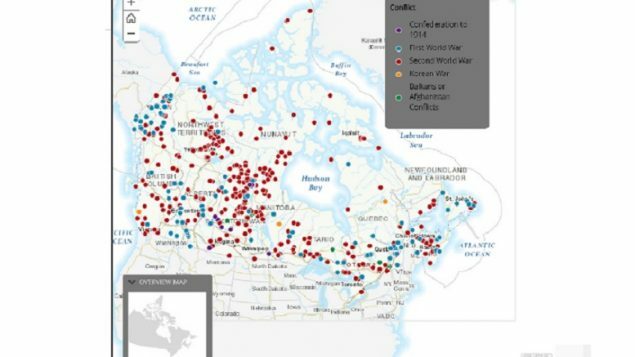 All across Canada, important battles and names of fallen Canadians have been remembered by naming certain geographical features. 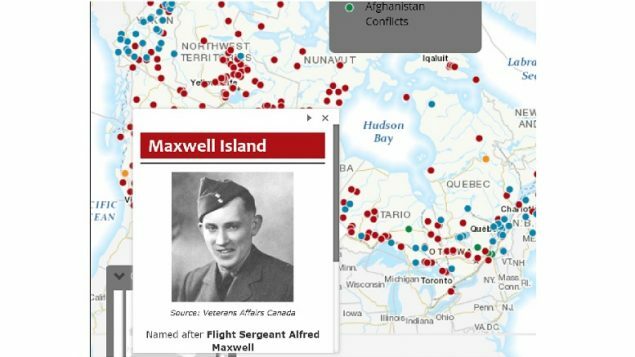 Now in time for the 100th anniversary of the end of the First World War, an interactive map showing all the place names of “remembrance” have been indicated. They are separated into the periods involved, i.e. all the places named in honour of WWI battles and fallen are shown on one map, wwII on another and so on. The first interactive map shows all such places together. Clicking on one of the spots gives a brief story of the origin of the name (soldier or battle) and a link to more information.